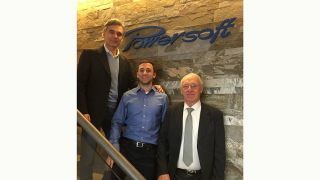 Powersoft has appointed Gino Pellicano to the newly created position of applications engineer. In his new role, Pellicano will report to Kurt Metzler, U.S. sales director, Powersoft. The appointment aims to increase Powersoft’s outreach and support capacities for its branded rack-mount amplifiers as the global company looks to build on its engineering capabilities across multiple regions. Pellicano brings diverse industry knowledge to the new position, with years of experience as an AV systems and acoustical consultant, design engineer, and application specialist for companies including Eastern Acoustic Works (EAW), Acoustic Dimensions, and Technomedia Solutions. As applications engineer, Pellicano will interface with consultants and integrators to raise awareness of Powersoft’s rack-mount amplifiers, while working to expand the network of Powersoft users in the U.S. and Canada and widen the company’s reach in the touring and installed sound fields. His experience in AV consulting and design enables him to provide application-specific guidance in systems design, so integrators and end users are able to leverage Powersoft’s hardware and Armonía DSP software to the fullest possible extent. “Powersoft is a company that has been built on technological superiority and innovation, and I’m honored to be joining the team in this newly created role,” Pellicano said. “Having used Powersoft amplifiers extensively as a consultant and system designer for their outstanding sonic characteristics and unrivalled efficiency, I am eager to bring that real-world experience to our customers and help them leverage the unique performance benefits offered by Powersoft amplifiers. Pellicano holds a master’s degree in architectural acoustics from Rensselaer Polytechnic Institute and has worked as an acoustical consultant for SIA acoustics in New York City. He also spent part of his career as an acoustical consultant and design engineer, working with a client base heavily centered on Orlando’s theme parks and high-end retail installations. Most recently, he worked for Eastern Acoustic Works (EAW) as an applications specialist, a position he has held for the last two years before.